The dragon queen is, of course, talking about Jaime Lannister (Nikolaj Coster-Waldau), who reached Winterfell at the end of Game of Thrones season 8 episode 1. And the first person he laid eyes on? Bran Stark (Isaac Hempstead-Wright). Granted this is a much different person — the Three-Eyed Raven, as he refers to himself — but there’s still a tiny bit of Bran in there, which is going to prove very juicy for episode 2. Also in the new Game of Thrones season 8 trailer, Dany and Sansa (Sophie Turner) mutually tell each other that they shouldn’t have trusted Cersei (Lena Headey), which seems like a trend in the final season. 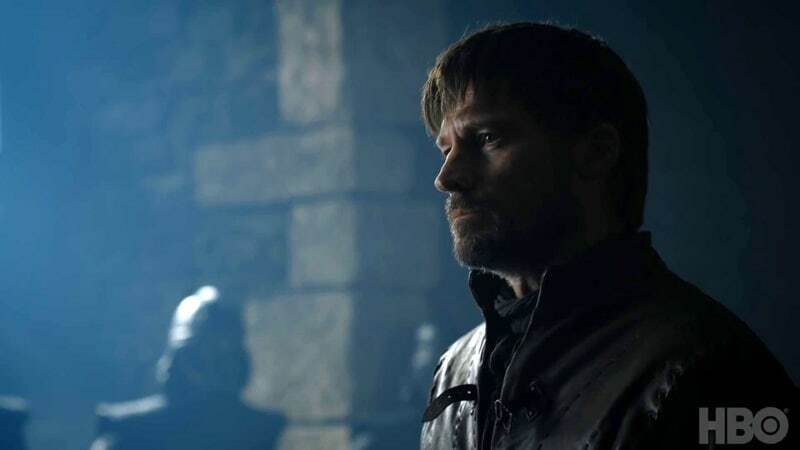 It seems to be an intentional that everyone is now aware of the Lannister queen’s treacherous ways and also talking about it, which on television usually signals the likely end of a character. It suggests they won’t fall for Cersei non-sense anymore, after they have (hopefully, somehow) taken care of the White Walker threat.